Medical treatment for many people is not always reachable because of the prohibitive costs that don’t match their respective incomes. But, now, The People’s Organization of Community Acupuncture (POCA) are working to change this for people who otherwise could not afford it. This new community acupuncture movement is becoming a nationwide initiative to help people who could benefit from acupuncture therapy, regardless of income. The movement and the organization encourages donations to pay for treatments where needed. By Googling “community acupuncture” several online addresses can be found for cities and health centers that are participating in the movement. In community acupuncture treatment, people are administered acupuncture in groups. This not only streamlines the procedure, but clients can interact with one another which builds up a sense of camaraderie. This shared experience tends to enhance the atmosphere of relaxation and healing. Sean McGrath of Sean’s Massage Center is a proponent of the community acupuncture movement. Acupuncture therapy utilizes natural stimulation points on the human body to alleviate discomfort, and it must be handled by a professional. Sean’s skills have provided rejuvenation services to men and women in the Columbus area for over 19 years. If you need someone that can help relieve stress or cure chronic headaches, call to schedule your appointment right away. Acupuncture has been around a long time. 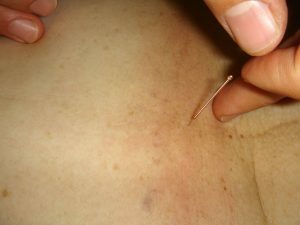 The practitioner stimulates specific points along the “meridians” by lightly placing an ultrathin needle into the skin. Chinese practitioners began mapping these invisible lines where they believe the “qi” flows more than two millennia ago. In the Chinese holistic approach to medicine, healing practices are a philosophical discipline as much as scientific. When certain points – called acupoints – of the body are stimulated in this way, it renders a positive effect in a corresponding part of the body. Eastern medical theory attempts not only to heal the body but strengthen the qi, a person’s spiritual energy, and the mind. In recent decades, Western doctors began studying Eastern theories more closely. Studies have shown what practitioners have known for a long time – acupuncture can have positive effects on the body which includes helping to ease discomfort, anxiety, stress, and in progressing the body’s natural healing abilities. Stimulating a specific point on a meridian will bring about a positive effect to another part of the body. For instance, placing needle at a very specific location near the hand of a client, causes the body to release endorphins, a natural pain relieving hormone we produce. Applying or placing a needle in a certain place in the upper arm will help relieve nausea. Acupuncture has been known to relieve discomfort in people suffering from sciata, arthritis, fibromyalgia, migraines, and many other maladies. In a community acupuncture session, the clients remain clothed except for socks and shoes. The practitioners use acupoints on the scalp, neck, hands, and feet. Clients are also asked to roll up long sleeves and pants so that points on the lower legs and arms may accessible. Back pain: Acupuncture can focus on a number of acupoints for back pain remedy. The specific points depend upon the specific area and cause of the ailment. Back pain can have a number of causes such as herniated discs, or strained and stretched muscles. When back pain bothers you, it’s a good idea to talk to your doctor to see if acupuncture therapy is a feasible remedy.-take out! Digestive discomfort: Acupuncture has been found effective in relieving digestive disorders and a host of other problems. Stimulating the appropriate “acupoints,” certain muscles in the abdomen are relaxed, which allows a balanced flow of blood; thus, the pain subsides. In the cases of chronic recurring pain, a series of treatments might be necessary. Ailments in the digestive tract might be the result of constipation, Crohn’s disease, irritable bowel syndrome, or many other causes. Some require complex medical treatments, but many are easily treatable with acupuncture therapy or other forms of alternative healing. Infertility: Acupuncture is an effective technique to use against infertility. A series of treatments can enhance male sperm count and motility as well as aiding a woman’s body during ovulation to improve chances for conception. Headaches: Headaches are among the more common ailments (often stress-related), and usually one of the easiest to remedy. Primary headaches are caused when over activity stresses sensitive areas of the brain; it’s easily treatable. Secondary headaches are often symptomatic of a more serious condition. A person with frequent headaches should consult a physician and ask if acupuncture is a feasible remedy. Neck pain: Acupuncture therapy targets particular acupoints that will alleviate the pain and sometimes speed up the healing process. Neck ailments are probably a more common thing than people realize with many possible causes: a herniated disc, a pinched nerve, viral infection, and more. The possible treatments vary, according to the causes. 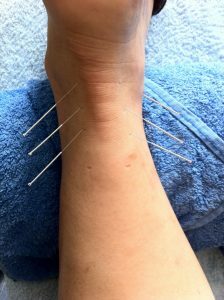 It would be advisable to check with a physician to see if acupuncture is a viable treatment. Sean received his Massage Therapy License on January 16, 1998. After attending the Central Ohio School of Massage in Columbus, he completed a 670-hour series of courses in anatomy, physiology, and hygiene. Now, he is a proud member of The National Honor Society and The American Massage Therapy Association (AMTA). You can call the center at (614) 327-4338 to set up a session or go to the website and schedule it online. The cost starts as low as $25 per session for this highly specialized technique. If you have any questions about this or other procedures, they will be answered. You will be contacted via email with details about the appointment.